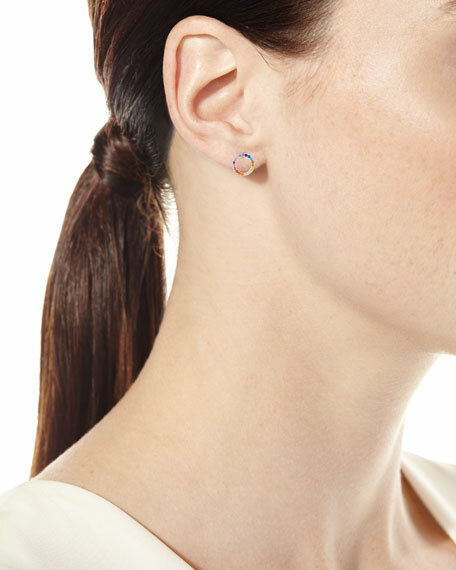 Tai rainbow pavé circle stud earrings. Yellow golden plated brass hardware. 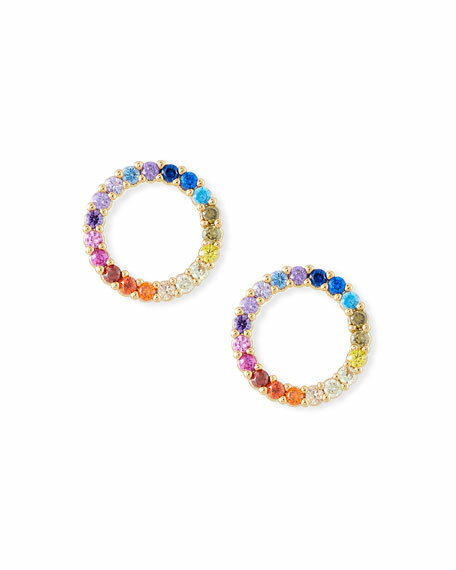 Pavé rainbow cubic zirconia stones. For in-store inquiries, use sku #2618995.